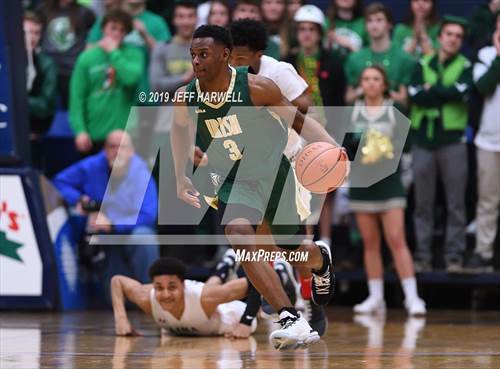 Ohio small school power's championship run stretches three school years. 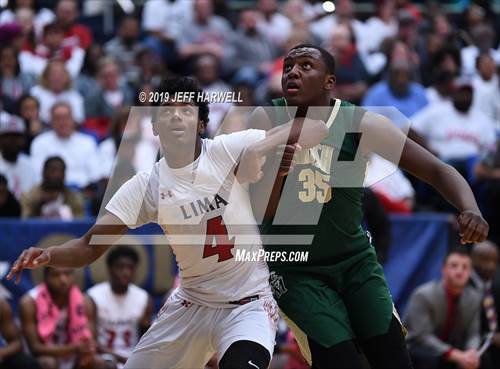 Watch the standout underclassmen nail three 3-pointers in the OHSAA Division IV state final. Minster won the 2019 OHSAA Division IV girls basketball state title, which was the program's fourth. Commentary: "When you think of Minster you think of..."
Fast females, fried chicken and Oktoberfest. 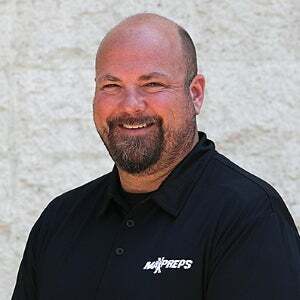 Fourteen years ago during an interview for the Miami Valley Sports Magazine, Minster (Ohio) High School assistant track coach Nann Stechschulte spilled to me what she thought defined the rural prep powerhouse huddled on the Auglaize and Shelby county line. The description was deservedly served a snicker. "When you think of Minster you think of Wooden Shoe Chicken, Oktoberfest and fast girls," Stechshulte said. "Fast girls may not be the right way to put it, but yeah, I think we're known for our running." Fast forward a decade and a half and the Wildcats are celebrated for their running tally of consecutive and varied state titles. It's unrivaled. Particularly for a public school. 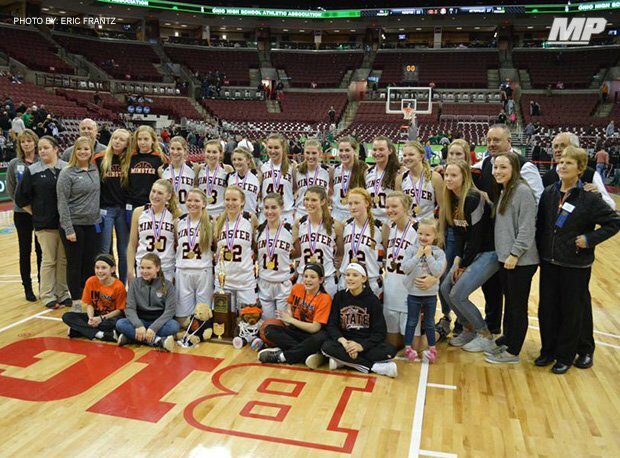 On March 16, Minster won its second straight Ohio High School Athletic Association Division IV girls basketball state championship. The victory delivered the school a state title in a girls sport for the fifth consecutive sports season. The string, which started with a 2017 cross country championship, also includes a 2018 track title and 2018 cross country crown. The Wildcats also won the 2017 D-VII football state title. Throw in the school's 2017 D-IV baseball state title and the championship string stretches six straight sport seasons. As a school Minster owns 36 state titles. The Midwest Athletic Conference total stands at 131. "It speaks to our league. It speaks to the people around us. It speaks to the kids that we have," Minster head girls basketball and baseball coach Mike Wiss said. "They give it." When I did the original interview with Stechschulte, Minster had 20 state titles, 19 of which were earned in girls sports. The lone boys title at the time was the MAC's first football state championship, which Minster claimed with a 16-7 win over McDonald (Ohio) in 1989 (Division V). The conference now owns 33 football state championships. In the last 14 years, Minster has collected 16 state titles in football (two), baseball (three), boys golf, girls basketball (two), girls track and field and girls cross country (seven). The softball team was state runner-up in 2014. Minster's enrollment (K-12) is less than 900 students. It's graduation rate is 98%. The district was one of 28 in Ohio (out of 800-plus) to receive an "A" on its recent Ohio Department of Education Report Card. "I know that I've coached in multiple sports for many years, but these girls do the same damn thing (as other successful squads)," Wiss said. 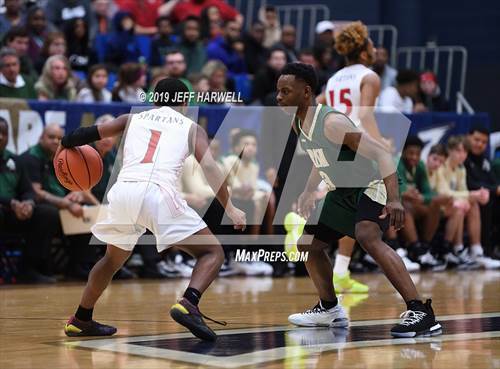 "(In) the small towns, everybody has to share the same kids and it's the work they put in. They all deserve a pat on their backs. They have to love it or they wouldn't do it." Janae Hoying has a huge heart. The sophomore has capped all five of her high school sports seasons with state championships. Defending a track title is the next mission. "The feeling you get walking back into your hometown (as a state champion)," Hoying said, "...it's pretty cool." The state final was Minster's 99th win in girls basketball in four years. 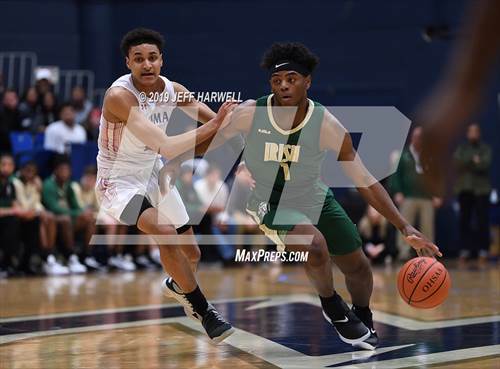 "I told the girls it's like playing the New England Patriots for everyone else in the NFL," Ottoville (Ohio) head coach Dave Klemen said after the Wildcats beat his Big Green (53-37) for the second straight year in the state basketball championship. "If they just got (Minster) out of the way, everyone else could have a chance to win the dang thing." 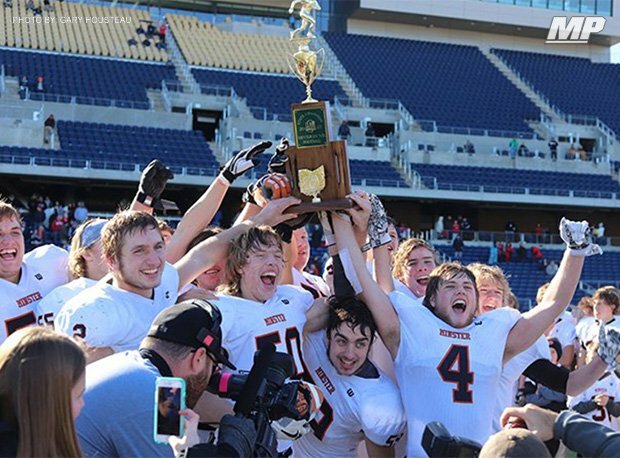 Minster won the 2017 OHSAA Division VII state football title, which was the program's third.